I’m sure you all saw the Getaway Concepts last week over at MotoringFile. 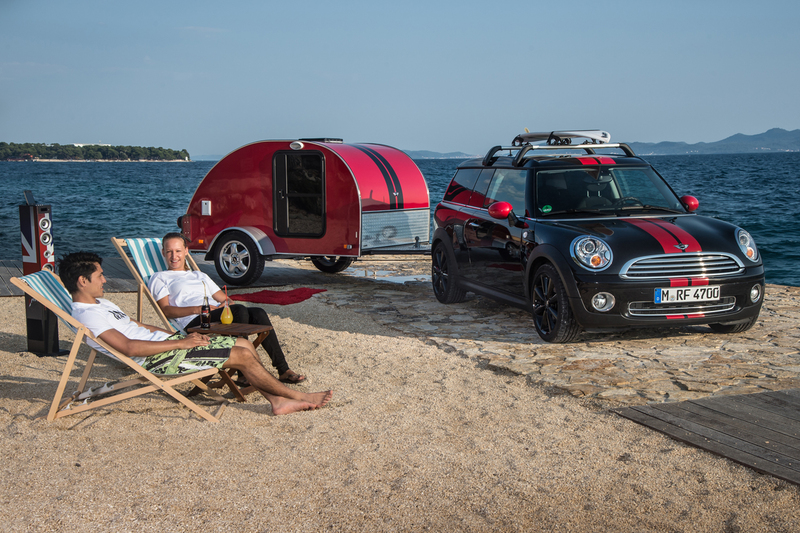 “Wouldn’t it be cool”, you thought, “to be able to tow a tear drop trailer with MY MINI?” We’ve got you covered here, under the White Roof! Actually, MNIdoMore.com has you covered. With their custom, hidden receiver hitch, pulling a trailer with your MINI is no longer a dream, it’s a reality! With it, you can tow, haul cargo, haul bikes. There is a hitch for every 2002 – 2010 Mini Cooper variant! You want details? 1 1/4” Class I Receiver hitch with 1400 lb towing and 200 lb tongue weight capacity. 2011 Mini Cooper Countryman and Countryman S hitch has a 2000 lb towing capacity! Mounts concealed behind the bumper. Cannot be seen when not in use! Stop thinking how cool it would be to tow with your MINI and start doing it! MNIdoMore.com is the place to check out! And be sure to let them know White Roof Radio sent you! Woofcast 476 will be ready later Tuesday evening. We suffered a few technical difficulties. Apologies for the delay!